Well, now you've done it. You've gotten dye all over your face and you have to go to work/school looking like either a smurf or an axe murderer. Congratulations. Oh, wait, there's ANOTHER option? Tell you more? Will do. Well, now you've done it. You've gotten dye all over your face and you have to go to work/school looking like either a smurf or an axe murderer. Congratulations. Oh, wait, there's ANOTHER option? Tell you more? Will do. 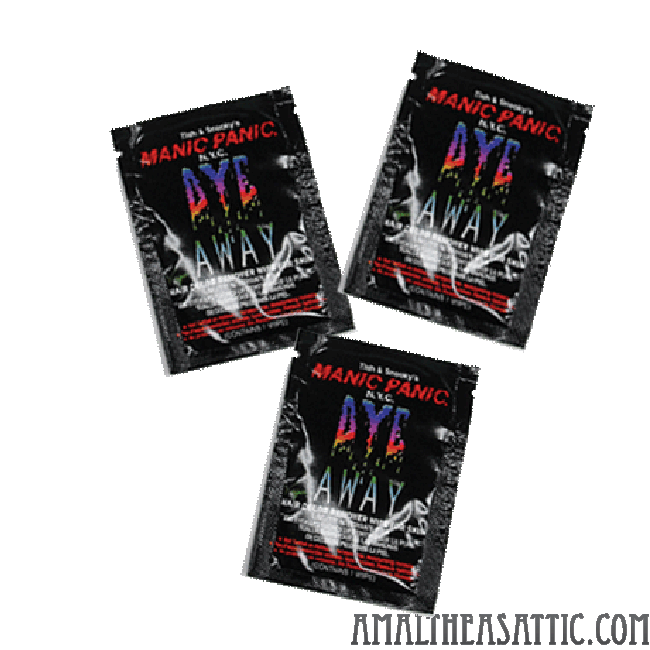 Introducing Manic Panic® Dye AWAY™ hair color remover wipes for skin. 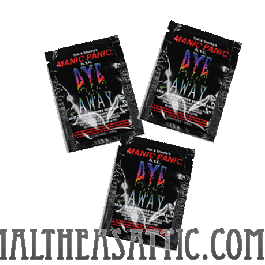 Removes hair color stains from face, neck and hands with ease! Works like magic. No more liquids or messy towels. Just wipe and throw away. The Vegan formula moisturizes skin and smells great. Paraben-free. Not tested on animals.